Two and a Half Canadians in Cambridge: Coffee Disaster! I have been in Canada for the last two weeks - this is the last of our trips back home, since we have our final return flights booked in December. I cannot believe (a) we have been in the UK for 18 months already, (2) we have a final flight home booked, and (d) we have been back to Canada 4 times in 18 months. That seems just ridiculous, but I have had to come back to work in order to maintain my nursing registration. Which brings me to the hilarity of yesterday morning. My shift started at 0700, so obviously I woke up before the alarm was due to ring at 0558. I rolled out of the bed at 0535, and went down to my Mother-in-Law's kitchen. We had slept at her house so she could babysit play all day with Elizabeth. She has a one-cupper coffee maker, so I turned it on, and then went to get dressed. As I was finishing my hair, I thought, "Hmm, Susan's coffee maker takes way longer than my Mum's... oh well, they're different brands, maybe hers is just slower." And then as I finished brushing my teeth, I thought, "That's so weird that two different brands of the same kind of appliance can be so different." And that is how I flooded Susan's countertop and one kitchen drawer, and gave her kitchen a distinct, 'eau de caffeine' scent. I came out, and the whole counter was covered in coffee!! Turns out, you have to turn her one-cupper off when your cup is full... 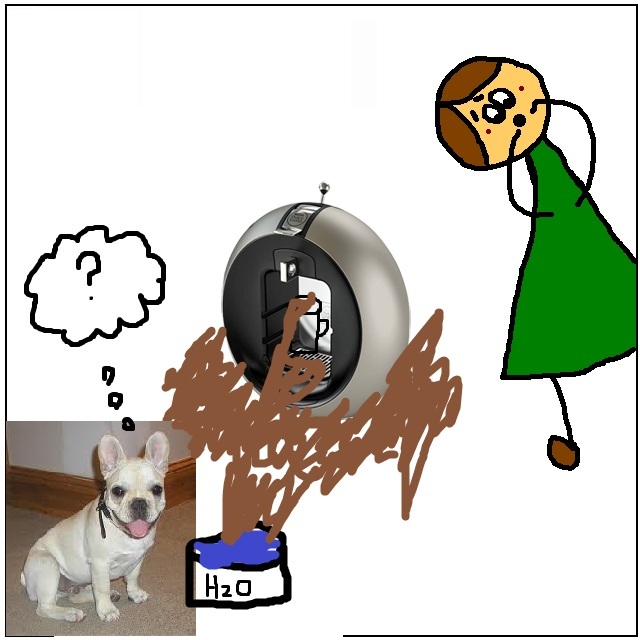 The thing is, this was pretty hilarious, but at 0540, there are no other human beings around to laugh about it with, only a french bulldog with coffee dripping into her water bowl. So I just mopped up the coffee-drenched counter and bailed coffee out of the kitchen drawers, and re-made my first cup of the day. 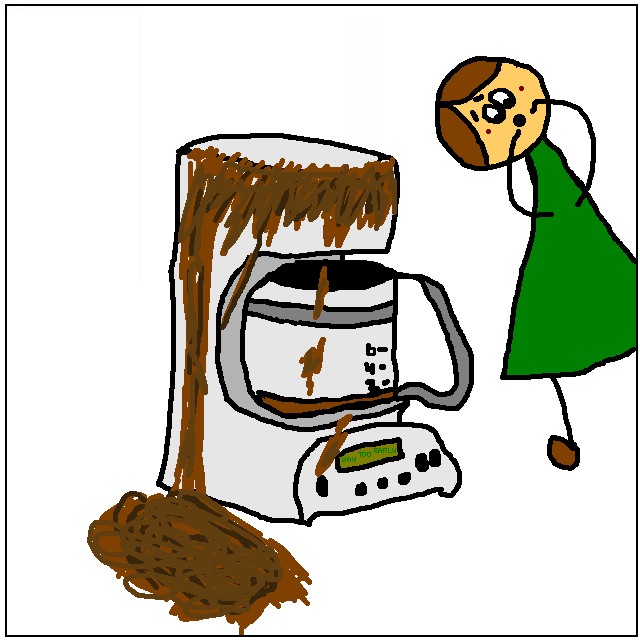 If you search google images for 'coffee spill', this is the second image. That second cup of coffee really hit the spot.